We can all appreciate a good night’s rest, but did you know that cultivating more gratitude throughout the rest of your day actually adds to your ability to maintain levels of deep sleep for longer? By focusing on the positive side of life in our daily experiences before we settle down to sleep, we are automatically inviting a more settled and satisfactory ability to access and maintain deeper levels of sleep. A study found that gratitude is uniquely related to total sleep quality, subjective sleep quality and duration. Researchers found that when falling asleep, grateful people are less likely to think negative and worrying thoughts and more likely to think positive thoughts. This means that the way we spend our final waking moments before bedtime in mental or physical capacity have a considerable affect on the quality of sleep we receive. 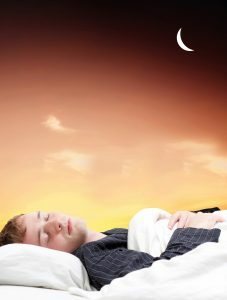 Pre-sleep cognitions and gratitude were just some of the positive traits accessed by the researchers. I’d invite you to put this into practice and focus on the positive!